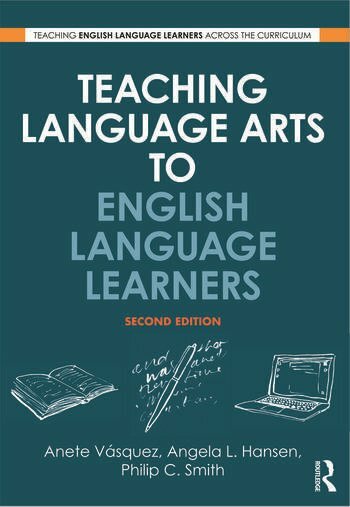 This thoroughly revised and updated edition of Teaching Language Arts to English Language Learners provides readers with the comprehensive understanding of both the challenges that face ELLs and ways in which educators might address them in the language arts classroom. The authors offer proven techniques that teachers can readily use to teach reading, writing, grammar, and vocabulary as well as speaking, listening, and viewing skills. A complete section is also devoted to ways teachers can integrate all five strands of the language arts curriculum into a comprehensive unit of study with meaningful accommodations for ELLs. An annotated list of web and print resources completes the volume, making this a valuable reference for language arts teachers to meet the challenges of including all learners in effective instruction. An updated and streamlined Part 1, which provides an essential overview of ELL theory in a language arts specific context. Additional practical examples of language arts exercises, all of which are closely aligned with the Common Core State Standards. New pedagogical elements in Part 3, including tips on harnessing new technologies, discussion questions and reflection points. Anete Vásquez is Assistant Professor in the Department of Secondary and Middle Grades Education at Kennesaw State University, USA. Angela Hansen is Associate Professor in the English Department at Northern Arizona University, USA. Philip C. Smith is the Foreign Language/ESOL Education Program Coordinator in the College of Education at the University of South Florida, USA.